Recently, superstar Priyanka Chopra inaugurated her first-ever Madame Tussauds idol at Madame Tussauds New York. Dressed in her iconic Emmy Awards look in a scarlet gown by Jason Wu, the wax statue of the global icon is all set to enthral her visitors this month onwards. The actor, philanthropist, and a global icon, Priyanka also revealed that after New York, her wax figure will soon be launched at other Madame Tussauds museums in London, Sydney, and Asia later this year. At IIFA, we cannot be more excited with this news, as one of our favourite stars make her existence evergreen at this world-renowned museum. IIFA shares a historic relationship with Madame Tussauds around the world. Since 2000, the International Indian Film Academy has been associated with this globally recognized name in celebrity representation. Over the years, the academy has brought together some renowned Indian celebrity figures to be exhibited at Madame Tussauds across Singapore, Bangkok, London, and Hong Kong. 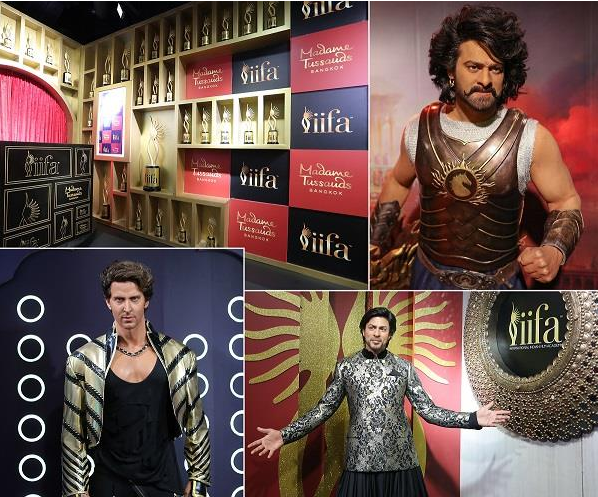 Beyond the magnificent wax idols of stars, IIFA has also contributed to the Madame Tussauds experience with an excerpt of Bollywood and a peep inside India’s biggest entertainment industry. For over 250 years, Madame Tussauds has been offering an ultimate experience of fame and the fabulous life of celebrities and bringing them to life with their impeccable wax idols and other immersive elements. And IIFA remains a significant part of that experience.